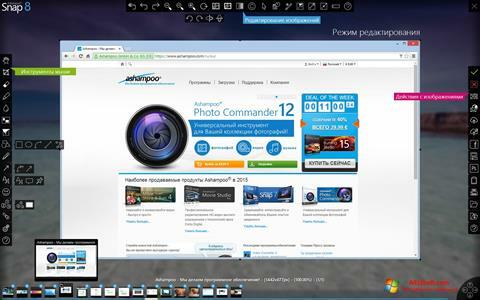 Ashampoo Snap for Windows 10 - A convenient tool for taking screenshots. The program contains a graphical editor, the capabilities of which allow you to correct the resulting image, apply effects to it, highlight the desired area, add additional elements and comments. You can set any window shape, adjust frame sizes, take pictures of any part of the screen, capture the mouse cursor. Supports zoom in the image, rotate, repeat and cancel any action. With the help you can save files with images, print them or send by e-mail. You can free download Ashampoo Snap official latest version for Windows 10 in English.